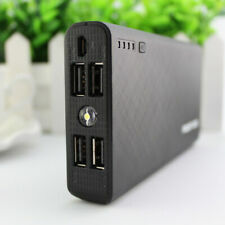 1 x 50000mah External Power Bank. Capacity: 50000mAh. 1 x 50000mAh Power Bank. Dual USB output interface: With dual USB output interface, the phone / iPAD while charging is no longer a dream ~ dual output, more convenient! Auto power off, make better use of battery energy. Capacity: 10000mAh. 1 x 10000mAh Power Bank. Dual USB output interface: With dual USB output interface, the phone / iPAD while charging is no longer a dream dual output, more convenient! Auto power off, make better use of battery energy. (1 x 50000mah Power Bank. High Quality LED LCD Power Bank. 11)Torch: 1x LED light built-in. The real color of the item may be slightly different from the pictures shown on website caused by many factors such as brightness of your monitor and light brightness. Capacity: 2600mAh. 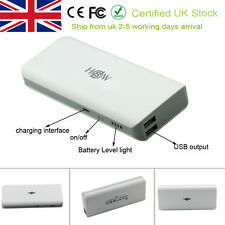 1 x 2600mAh Power Bank. 1 x USB Charging Cable(NOT FIT FOR IPHONE, ONLY FOR ANDROID PHONES ). Auto power off, make better use of battery energy. For Samsung Galaxy S6/4/3/2. For Samsung Galaxy Note 4/2. 1 x 50000mah Power Bank. High Quality LED LCD Power Bank. The real color of the item may be slightly different from the pictures shown on website caused by many factors such as brightness of your monitor and light brightness. Capacity: 50000mAh. 1 x 50000mAh Power Bank. 2LED Flashlight. For Samsung Galaxy S10/ S10 / S10e/ S9/ S9 / S8/ S8 / S7/ S7 edge/ S6/ S6 edge/ S6 edge / S5/ S5 Neo/ S5 Mini/ S5 LTE/ S4 Active/ S4 LTE/ S4 Mini/ S4 Zoom/ S4. ·Capacity: 50000mAh. 1 x 50000Ah Ultrathin Power Bank. · Dual USB, LED show you the energy state of external battery and can be used as flashlight. We will really appreciate that. · Input: DC 5V / 1.5A. Capacity: 50000mAh. 1 x 50000mAh Power Bank. Compatible with iPhone, USB Digital Devices and most Cell phones or other electronic devices. The real color of the item may be slightly different from the pictures shown on website caused by many factors such as brightness of your monitor and light brightness. 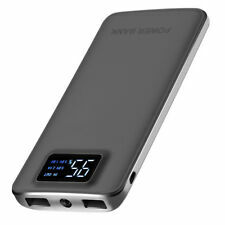 (2) Capacity: 50000mAh. 1 x 50000mah Power Bank. The real color of the item may be slightly different from the pictures shown on website caused by many factors such as brightness of your monitor and light brightness. Capacity: 50000mAh. 1 x 50000mAh Power Bank. Two USB output socket and Two LED bright light. Perfect appearance and performance. The real color of the item may be slightly different from the pictures shown on website caused by many factors such as brightness of your monitor and light brightness. 1 x 50000mah Power Bank. High Quality LED LCD 2USB Power Bank. The real color of the item may be slightly different from the pictures shown on website caused by many factors such as brightness of your monitor and light brightness. The real color of the item may be slightly different from the pictures shown on website caused by many factors such as brightness of your monitor and light brightness. You may also like. It has a modern slim, sleek, and stylish design. Its compact design makes it convenient to carry in your pocket or purse. You could even leave it plugged in to your phone. Micro USB cable and velvet pouch is included. It's the perfect partner for your Samsung products, as well as other devices. Lightweight and portable at less than 145g and only 9.8mm thick. Easy to read LED battery level indicator. USB port for charging any device, including tablets. Capacity: 50000mAh. 1 x 50000mAh Power Bank. For Samsung Galaxy Note 9/ 8/ 5/ 4/ 3 Neo/ 3/ Edge/ II. For Samsung Galaxy S10/ S10 / S10e/ S9/ S9 / S8/ S8 / S7/ S7 edge/ S6/ S6 edge/ S6 edge / S5/ S5 Neo/ S5 Mini/ S5 LTE/ S4 Active/ S4 LTE/ S4 Mini/ S4 Zoom/ S4. 1 x 50000mAh power bank. Built in Dual USB port, with LED Flashlight, LCD Digital display showing the battery status. Battery Type: Lithium Battery. High power conversion efficiency: the power conversion is as high as 90% or above, much higher than other similar products. 1 x 50000mah Power Bank. LED LCD 2USB Power Bank. The real color of the item may be slightly different from the pictures shown on website caused by many factors such as brightness of your monitor and light brightness. 1 x 50000mah external power bank. The real color of the item may be slightly different from the pictures shown on website caused by many factors such as brightness of your monitor and light brightness. Capacity: 50000mAh. 1 x 50000mAh Power Bank. Set up LED flashlight. You may also like. (2) Capacity: 50000mAh. 1 x 50000mah External Power Bank. LCD Display Power Bank. 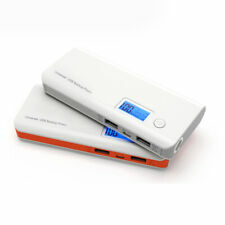 Output 2: 5V/ 2.1A Capacity: 50000mAh. 1 x 50000mah Solar Power Bank. Output 1: 5V/ 1A. 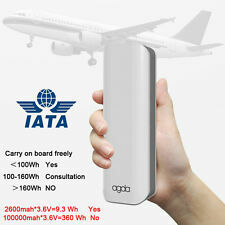 (2) Capacity: 50000mAh. 1 x 50000mah Power Bank. 2USB LED LCD Power Bank. The real color of the item may be slightly different from the pictures shown on website caused by many factors such as brightness of your monitor and light brightness. Auto power off, make better use of battery energy. For Samsung Galaxy S6/4/3/2. For Samsung Galaxy Note 4/2. 1 x USB Charging Cable(NOT FIT FOR IPHONE, ONLY FOR ANDROID PHONES ). Capacity: 2600mAh. Elegant design, high capacity, fashionable. Capacity: 6000mAh. It has a modern slim, sleek, and stylish design. Its compact design makes it convenient to carry in your pocket or purse. You could even leave it plugged in to your phone. Micro USB cable and velvet pouch is included.